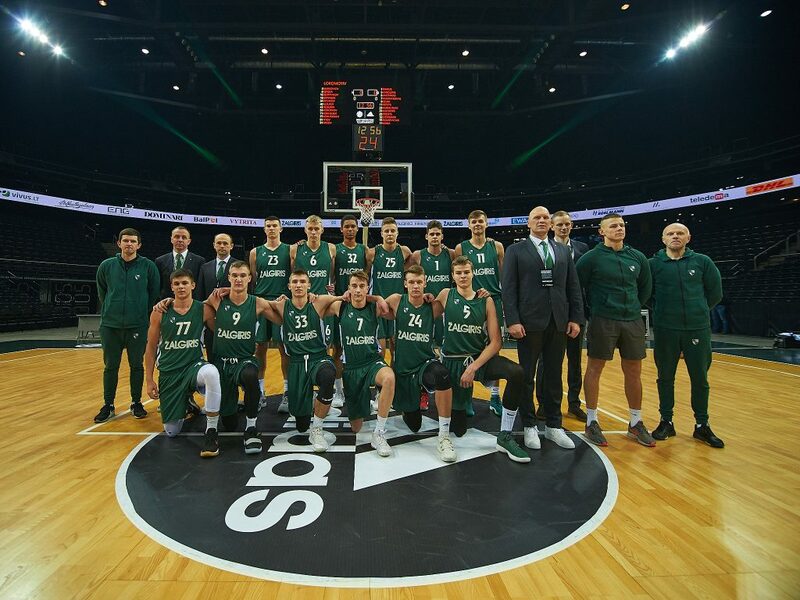 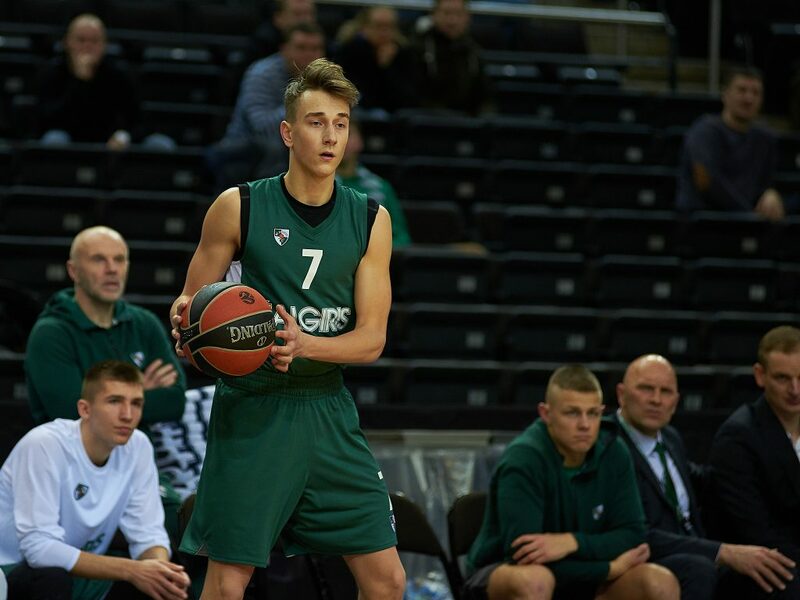 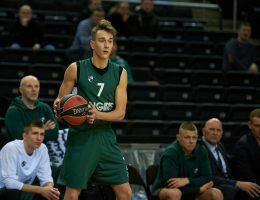 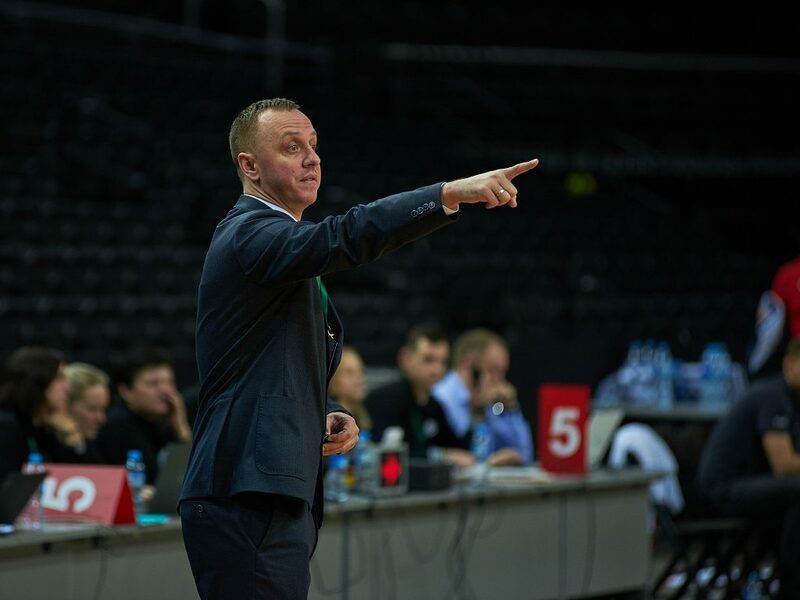 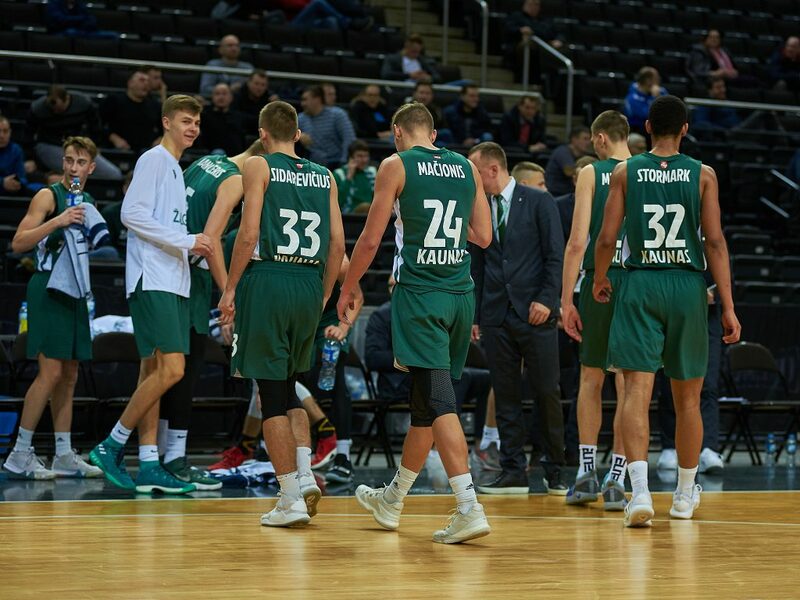 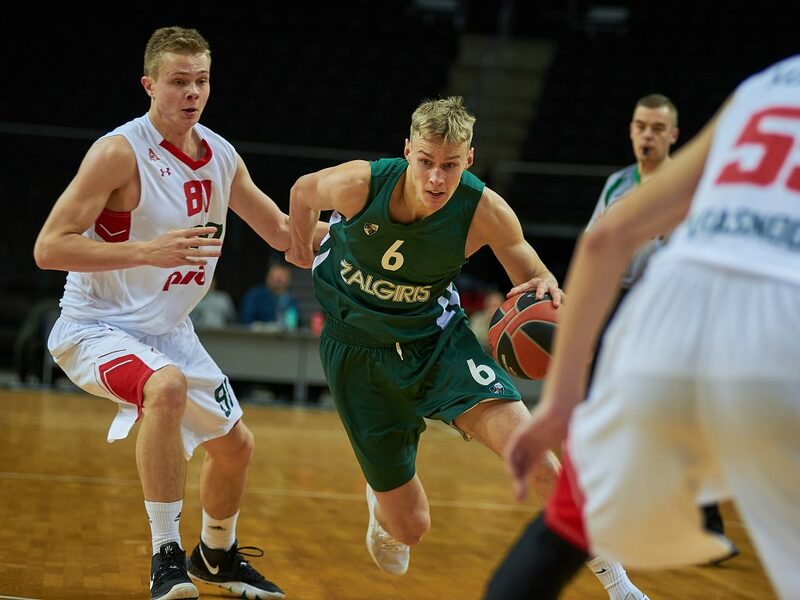 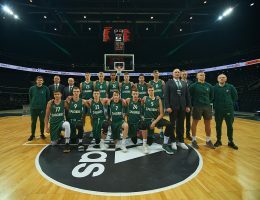 Host side U18 Zalgiris Kaunas tipped off the Euroleague Basketball Adidas Next Generation Tournament Kaunas with a 63-84 victory over U18 Lokomotiv Kuban Krasnodar in the opening game of Group A.
Modestas Kancleris led the way with 20 points, 7 rebounds, 2 assists, 5 steals and 3 blocks for a performance index rating of 32 for the two-time continental champion while Gabrielius Celka scored 14 points, Kerr Kriisa collected 11 points and 8 assists and Dovydas Rimkus added 10 points. 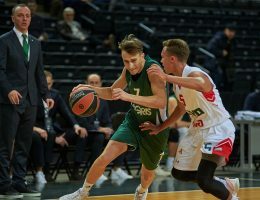 Gleb Bednyakov tallied 15 points as the leading scorer for Lokomotiv, which played its first game in the ANGT competition. 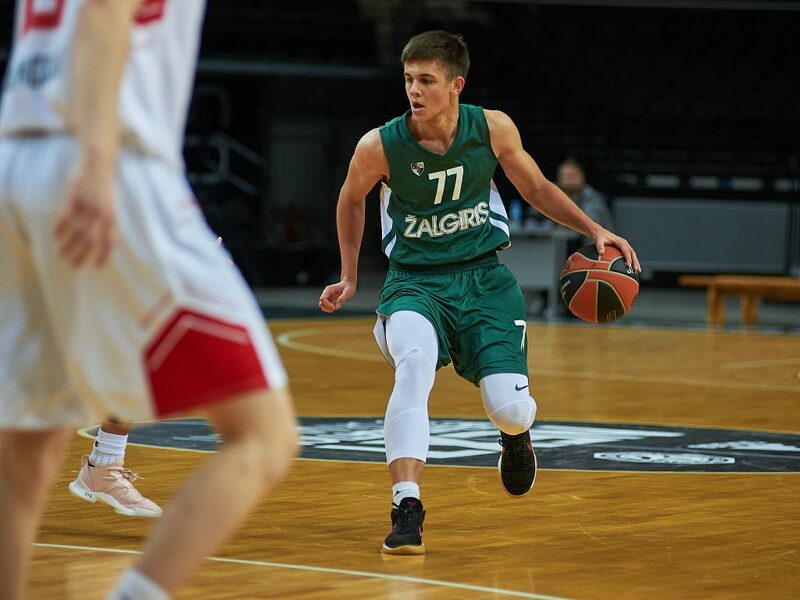 Daniil Sereda added 11 points. 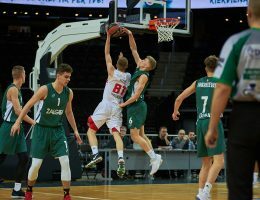 Lokomotiv started solid and went ahead 11-8 on a Bednyakov three-pointer. 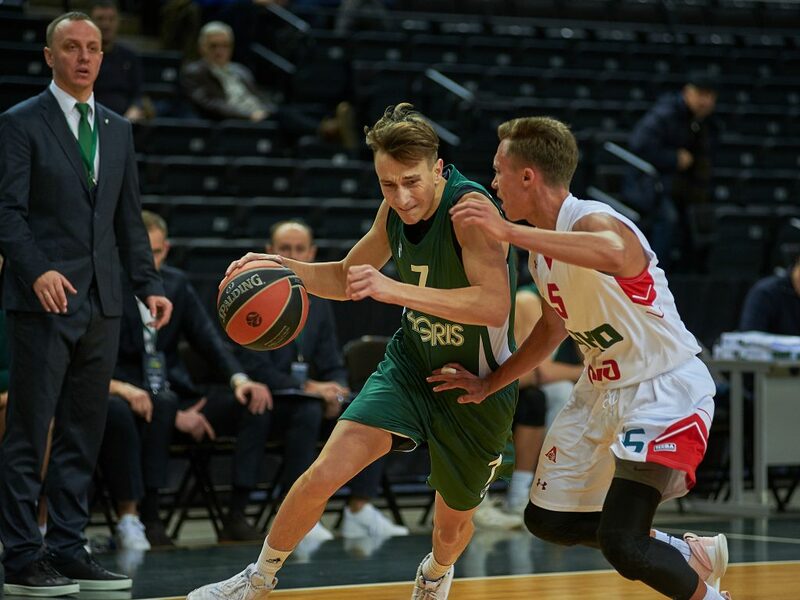 The Russian side was up 14-13 but scored just 1 basket the final 3:35 minutes of the quarter as Zalgiris went on a 2-11 run to lead 16-24 after 10 minutes. 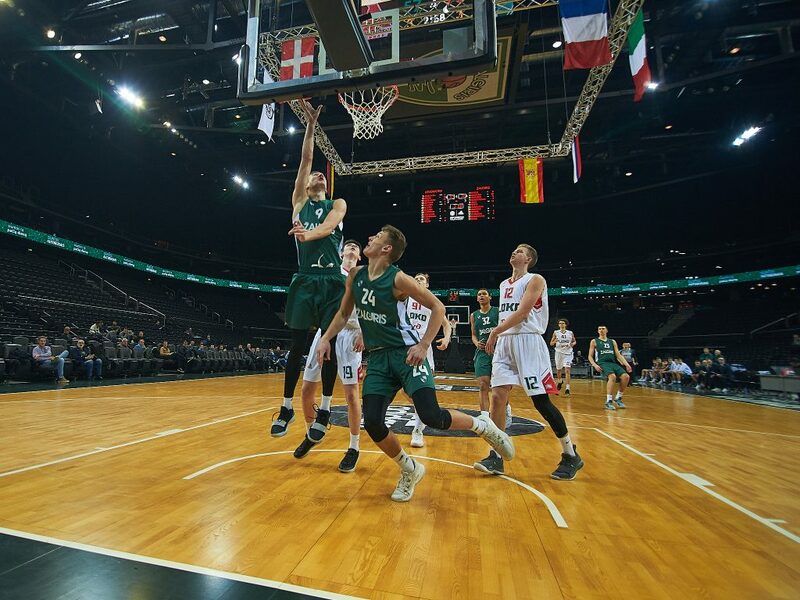 Lokomotiv opened the second quarter with the first 5 points before Rimkus hit two three-pointers to make it 24-30. 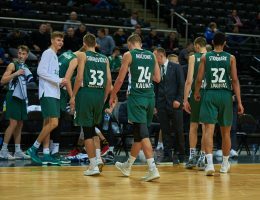 Lokomotiv nailed 2 three-pointers but Celka connected from downtown for Zalgiris, which led 34-40 at the break. 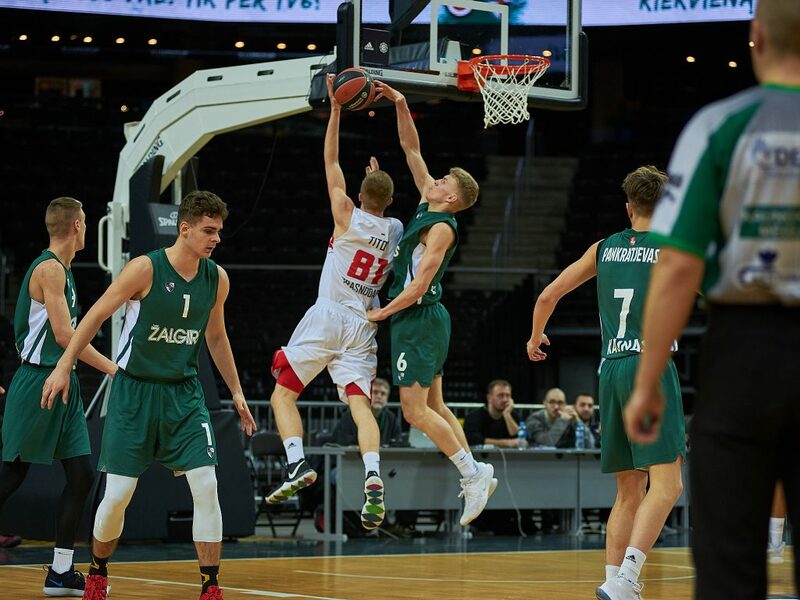 Kriisa and Laurynas Vaistaras drained three-balls to start the second half and push the advantage to 34-46. 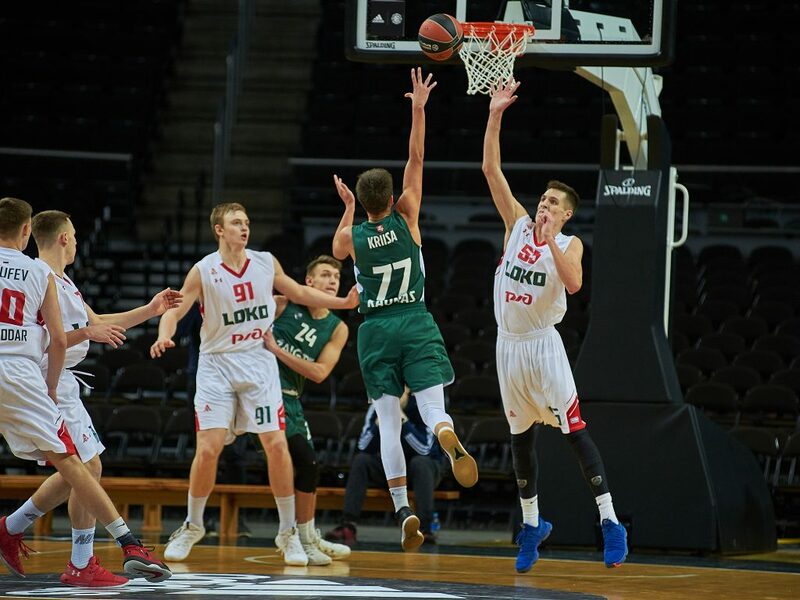 Sereda answered with back-to-back treys to cut it to 40-46. 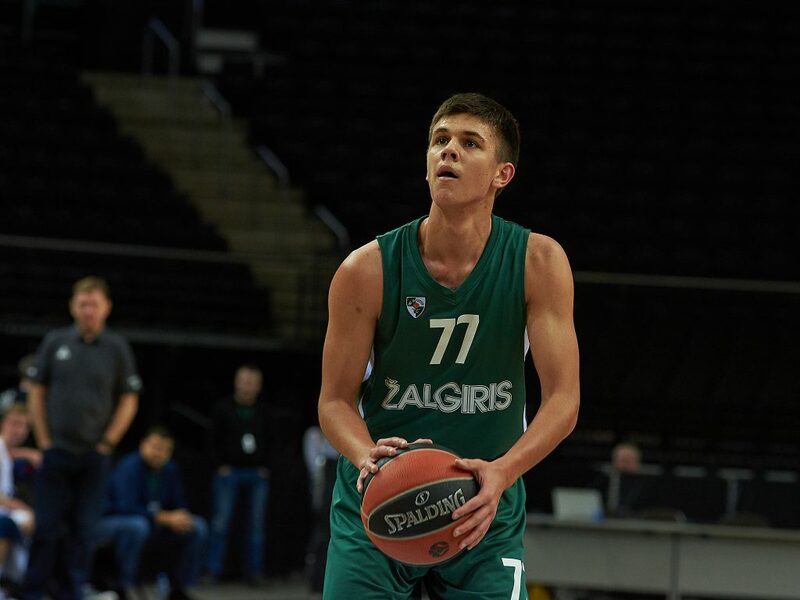 Kriisa and Nojous Pankratjevas both hit long balls at the other end and Zalgiris was up 50-58 after 30 minutes. 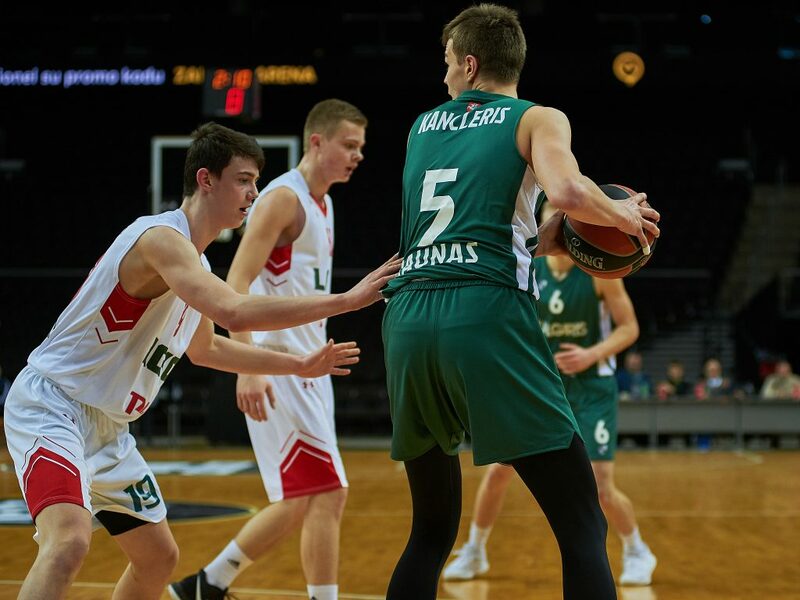 Kancleris added two three-pointers early in the final frame as the margin grew to 52-66. 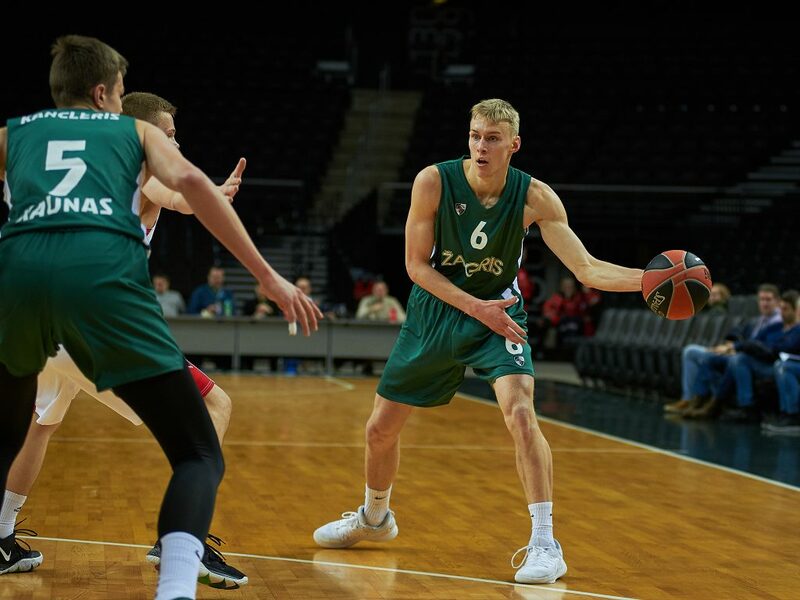 Lokomotiv could not get closer than 12 points and Zalgiris brought on 2004-born Paulius Murauskas with under 4 minutes to play and he promptly nailed a trey on his first touch to extend the lead to 57-76. 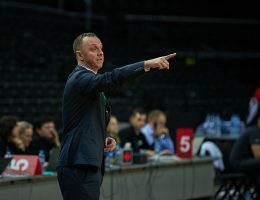 And Lokomotiv never challenged the rest of the way.